Teaching is a great way to bring in some extra cash. When I was in high school, I taught piano lessons to younger kids after school and on the weekends — it was a great way to earn money as a teen, and I was able to help kids discover the joy of music. Of course, when I was teaching piano lessons, I lived in a small town where you could walk anywhere you wanted to go in five minutes. Teachers who want to find students in sprawling urban areas often have a harder challenge; that $30 you earn for an hour-long lesson seems like a lot less money once you consider the hour-long commute it takes to get to your student’s house! Likewise, if you live in an out-of-the way area, you’re going to have a hard time getting students to come to you. That’s where Skype comes in. Plenty of people are teaching music lessons, math lessons and more over Skype, and making good money doing it! When you teach lessons over Skype, you don’t need to worry about a commute; all you have to do is open up your laptop and get started. 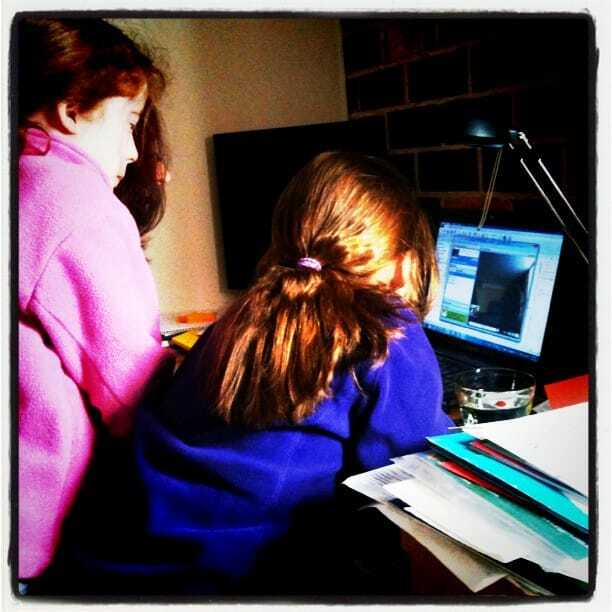 What Can You Teach Over Skype? The short answer is “nearly anything,” so here are a few ideas to get you started. Whether you teach from the Faber beginning piano books or the Suzuki violin method, teaching music over Skype is a great way to help students learn the fundamentals of music. [The student’s] computer camera is aimed over her shoulder and Tolchin watches her left hand as it bops from sevenths to thirds. Tolchin has two cameras — one mounted on the ceiling so students can watch his hands, the other trained on his face. You could also conduct the majority of your music lessons over Skype and meet once every other month for an in-person lesson. That way, your students get the best of both worlds. You can teach everything from pre-calculus to SAT prep over Skype, and unlike music lessons, you don’t ever need to worry about meeting in person. Just open up your laptop and get ready to explain polynomial functions! If you plan to tutor over Skype, it’s a good idea to set homework for your student to email you in between tutoring sessions. That way, you ensure your student is mastering the material even when you’re not around to help. A lot of people get really nervous about job interviews. That’s where you come in. By setting up mock interview coaching sessions over Skype, you can help job seekers prepare everything from interview outfits to their ability to describe a situation where they successfully managed a conflict between co-workers. This type of coaching program will require strong marketing skills; after all, parents often seek out music teachers or tutors for their kids, but you’re going to need to convince people to hire an interview coach for themselves. Take a look at other Skype interview coach websites, such as Barry Drexler’s interview coaching site, to see how these coaches market themselves. Public speaking is still one of our top fears. If you can help people overcome their discomfort with speaking in public, you’ve got a job opportunity. Use Skype to coach people on their delivery, their posture and the correct way to confidently address a crowd. Check out Jezra Kaye’s public speaking coaching site to see how you can set up your own Skype coaching business. Notice how Kaye includes a monthly email newsletter and other goodies for potential clients — in this type of work, building rapport will help you stand out while establishing your expertise as a coach. Yes, you can teach dating skills over Skype! Help people learn how to make small talk, how to ask someone out and even how to behave during the date. You’ll find a lot of dating coach Skype businesses online, so take a look at the competition and then figure out how to make your site attractive to potential dating clients. Pick a strategy that you think works for you; some sites are all about pickup techniques, while others, like Dr. Samantha Rodman’s dating sessions, are about communication skills and personal goals. We’ve written before about how to make money from organizational systems like KonMari. Here’s one more way to make cash from your organizational skills: Take them to Skype. Use the camera feature to look into your clients’ homes and help them figure out what to keep, what to resell and how to clean up the clutter! Want to help people understand their furry friends a little better? Become a Skype pet trainer. Since you’re working over Skype, you’re not directly training the pets; you’re teaching your clients to train their pets. Don’t believe us? Take a look at our article about cat behaviorists who work over Skype to help families and felines. It helps if you have a pet certification before you get started, such as the animal behavior certification from the International Association of Animal Behavior Consultants. No matter what you plan to teach, take a look at our guide to setting up a tutoring business. You’ll want to create a website that explains your teaching program and qualifications and then begin marketing yourself to prospective clients. Sometimes it’s as easy as sending an email to your parent friends announcing that you’re starting a piano teaching business. Other times, it requires a little more marketing savvy. How much can you earn? A cat behaviorist can earn up to $100 an hour. Barry Drexler charges $150 for a 90-minute interview coaching session. If you are able to prove what your coaching is worth, you can set your own price. Don’t forget about referrals. Your first student is often the key to getting your second and third students. If you are a good teacher, expect to get some of your business through word-of-mouth, but don’t stop marketing! Plan to spend at least 50% of your work time promoting your Skype business until you get a full student roster. If you need more help, there’s probably someone out there ready to teach you how to start a small Skype business — over Skype, of course! Your Turn: Have you ever taken a class over Skype? What advice do you have for people who want to teach Skype classes? Nicole Dieker is a freelance writer focusing on personal finance and personal stories. Her work has appeared in The Billfold, The Toast, The Write Life and Boing Boing.